The Hochkönig is one of the most impressive and prominent mountains in the Alps. At just under 3,000m, the highest point in the Northern Limestone Alps, it forms a huge massif on its own, towering high above the surrounding valleys. 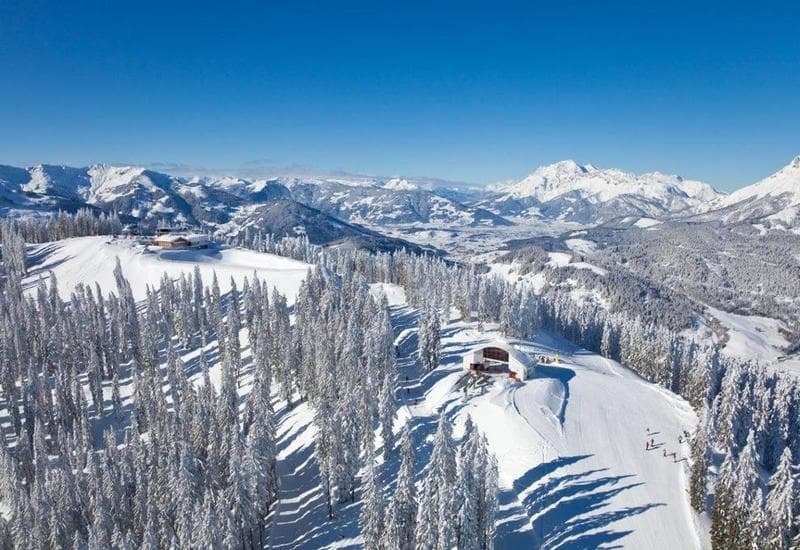 At his feet, on the opposite side, is the Hochkönig ski area, which includes three resorts and five smaller peaks. Up to 1940m, the ski slopes are high; some valley runs reach the village centres at about 860m. The panorama is breathtaking—from almost every place, one looks out onto the Hochkönig. 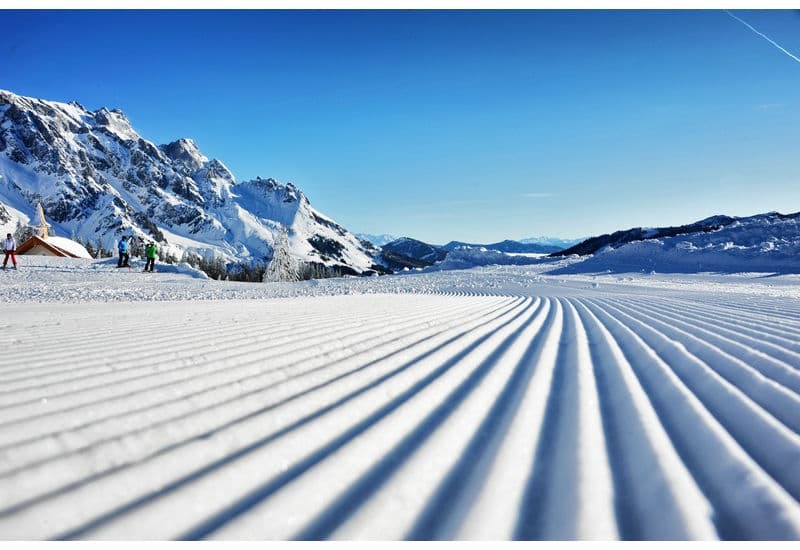 The 120km of slopes are considered the most beautiful in Salzburg. The Hochkönig region in the Salzburger Land includes the villages of Maria Alm, Dienten and Mühlbach am Hochkönig. 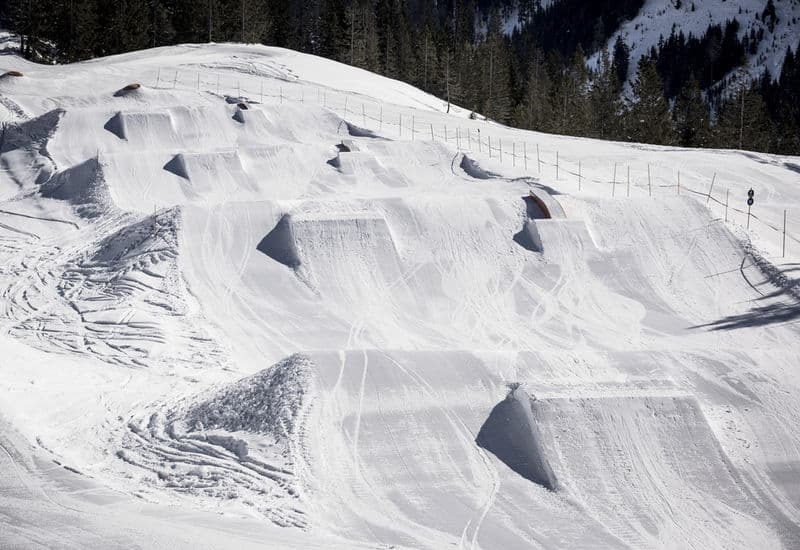 Ski fanatics, as well as beginner skiers, will have a great time here. 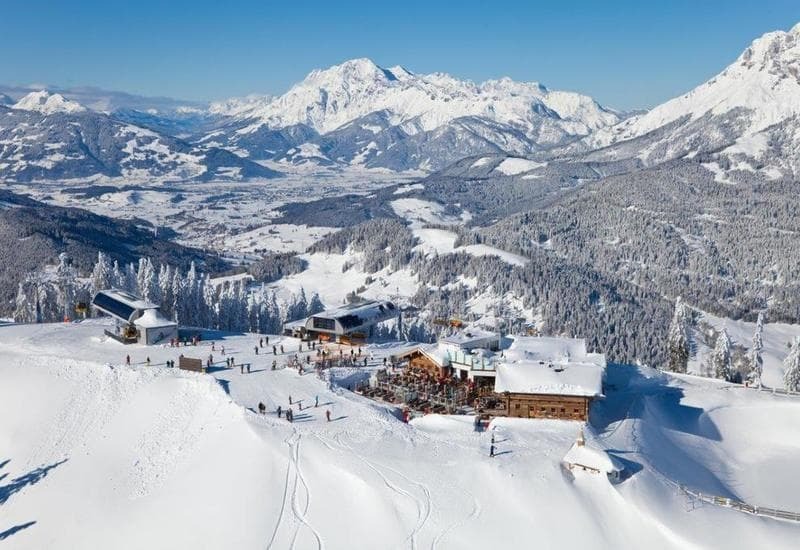 It is also one of Austria's most snow-sure regions due to the 145 snow cannons and 286 snow peaks. You can reach the villages in several places by skis and this is often possible until spring. The area has wide slopes of various difficulty levels, making it an ideal destination for a holiday with family or friends. The ski area belongs to the Ski Amadé region. This region is made up of 25 villages for which you only need one ski pass. 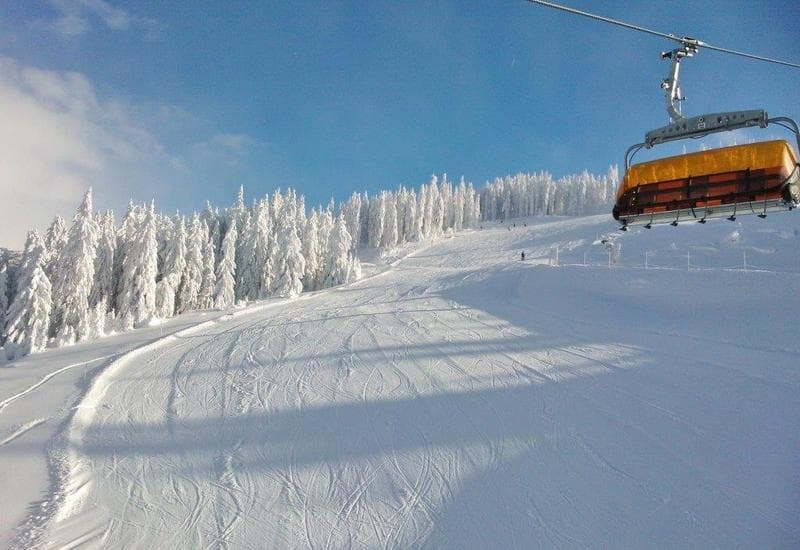 There are then more than 760km of slopes available. At the Hochkönig, there is a great balance between easy and difficult slopes. The connections between the runs are well furnished and equipped with modern facilities. The Hochkönig region offers a lot of opportunities for the beginning skier. 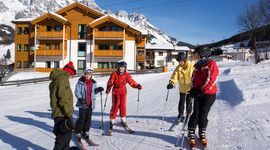 There are 9 ski schools in total, 2 of which are located in Dienten, 5 in Maria Alm and 2 in Mühlbach. There is no shortage of ski schools here for both snowboarders and skiers. In addition, the program is very diverse. As a beginner, you can learn the basics, but as an experienced skier, you can practice other skills, such as carving, freestyling and deep snow skiing, or you can just refine your overall technique. You can use various ski passes in the Hochkönig ski area. Ski passes up to one day are only valid in the Hochkönig region. There is also a ski pass for the Ski Amadé region. This ski pass valid for more than one day can be used for the whole area of the Ski Amadé. 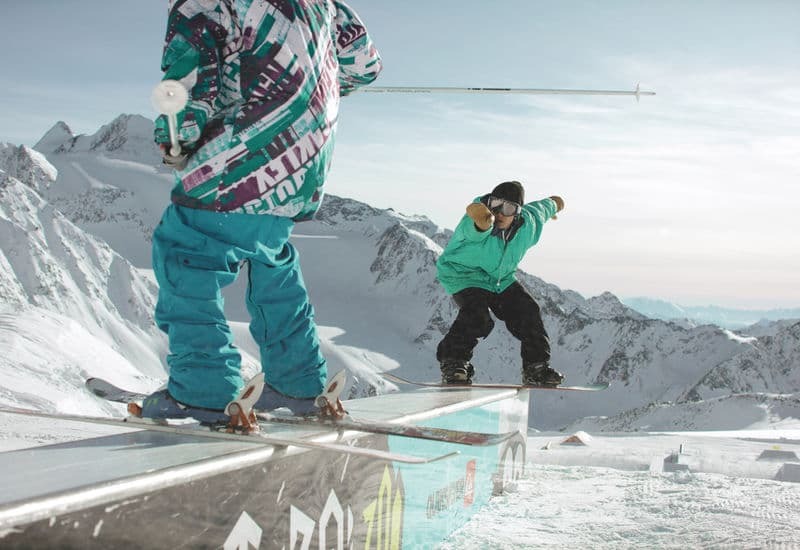 It gives you access to 5 ski regions and a whopping 860km of slopes! The passionate skier can use the Salzburger Super Ski Card. This pass provides access to 22 different ski areas. There are various bus connections in the Hochkönig ski area. There are ski bus connections in Dienten and Mühlbach and there are also buses between Maria Alm - Aberg - Hintermoos - Hinterthal and Saalfelden - Maria Alm. In short, you can forget your car when travelling in the area! In Dienten itself, the ski bus is free. The other ski buses in the Hochkönig region can be used free of charge by skiers with ski equipment and a valid ski pass. Book your ski equipment online! ChaletsPlus cooperates with Sport 2000 in Maria Alm for the online booking of their ski equipment. Thus, unnecessary waiting times are avoided during your holiday and you benefit from an attractive discount! How does it work? Just go to our website and click on ski rental with discount. In the Hochkönig region, there is a comprehensive network of trails. 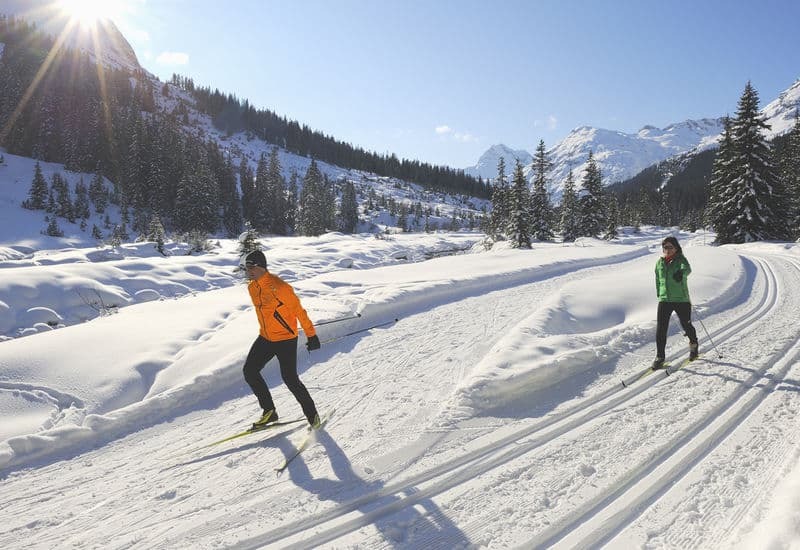 The areas Maria Alm, Dienten and Mühlbach offer a total of 40 cross-country ski trails. The largest network of trails with a total length of 30km is located in Maria Alm. There are several wonderful routes in different difficulty levels, varying from 1.5km to longer routes of more than 10km. The toboggan enthusiast has a number of options in the skiing area of the Hochkönig. 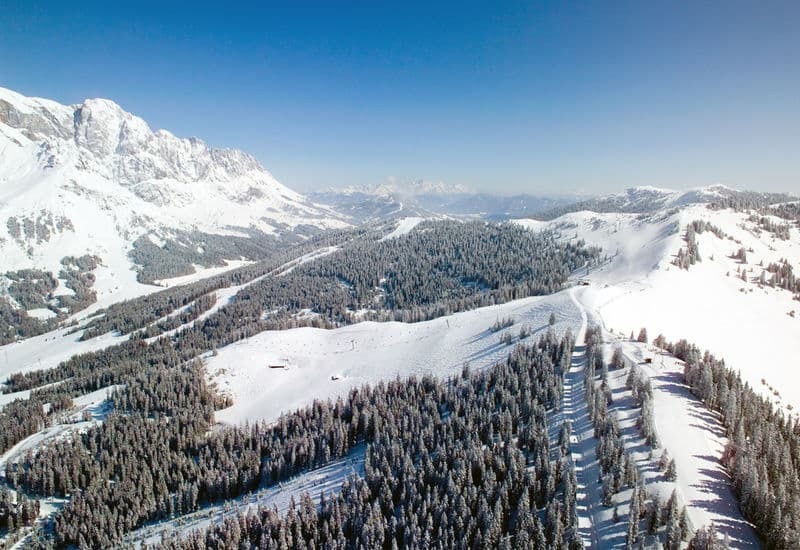 There are six different toboggan runs in the Hochkönig region, 2 of which are in Maria Alm, 1 in Dienten and 3 in Mühlbach. One of the longest toboggan runs in the region is the Kopphütte in Mühlbach. Choose from a wide range—there is something for everyone! Look forward to checking out more than 30 ski huts, bars and inns during your visit. In all three places, you can enjoy a wonderful meal in the evening—you’ll be particularly taken with the regional cuisine, which you can enjoy while looking out onto a charming alpenglow. 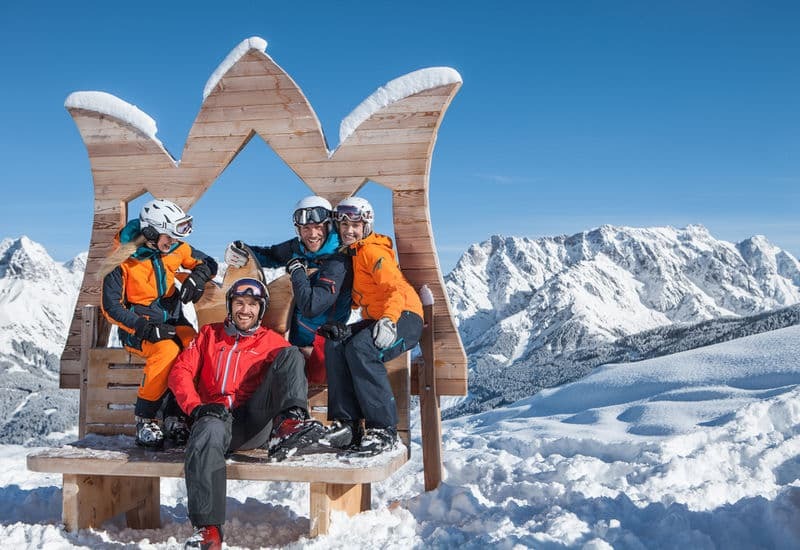 That is why some huts are also called sundowner huts: here, Austrian hospitality and breathtaking natural spectacle are effortlessly integrated into downhill runs and tours. Even followers of vegan lifestyle will find plenty to love. 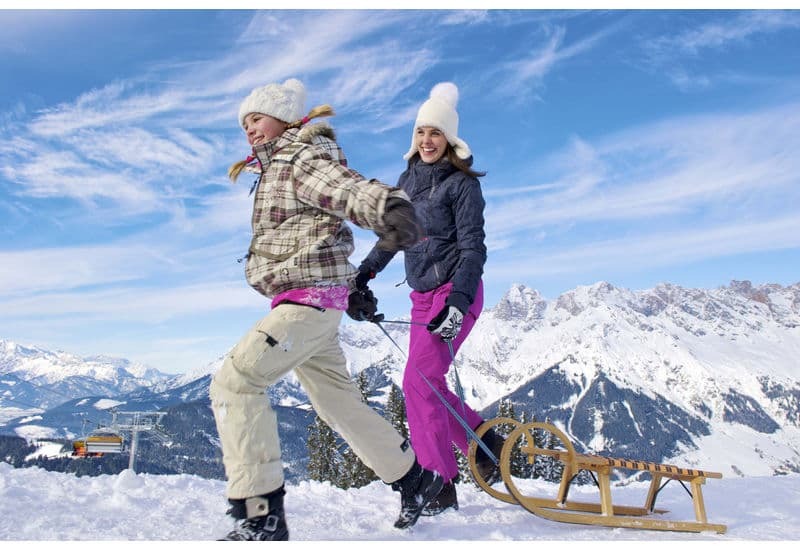 At the Hochkönig, there is everything you need for a successful winter holiday. In the immediate vicinity, you can also enjoy sightseeing all year round: mining tunnels, museums and a real Walk of Fame, where the greats of winter sports are immortalized. Maria Alm is also a popular place to visit. If you feel like the big city, Salzburg is only 60km away! Maria Alm, Dienten and Mühlbach are friendly alpine villages with charm and a wonderful location. Of course, we offer attractively located and modern chalets in each of these locations. 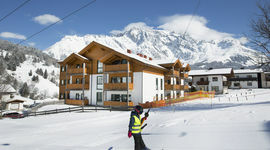 View Apartments in the Hochkönig ski resort.